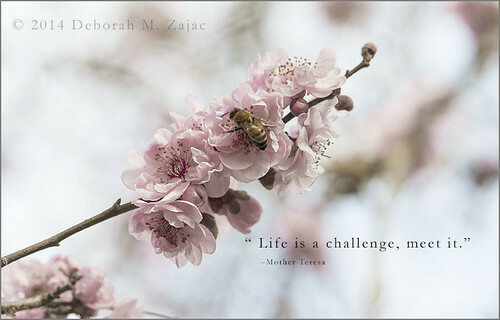 "Life is a challenge, meet it." Mother Teresa, originally uploaded by CircadianReflections Photography. My Flowering Plum tree is in full bloom right now, and Bees are busy buzzing all around it collecting pollen. It feels far too early!